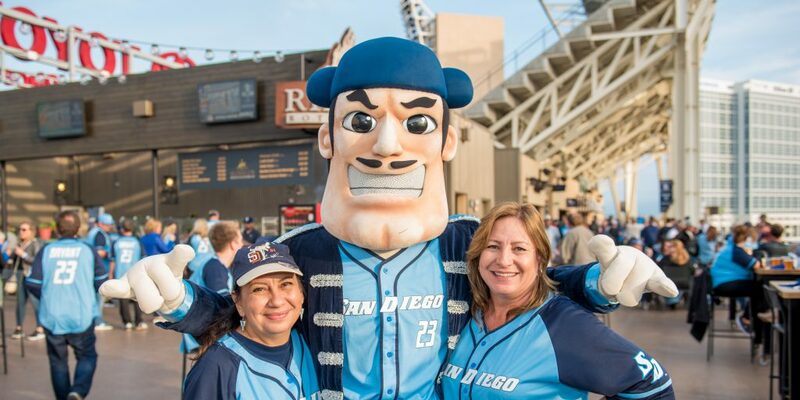 The rooftop of the Western Metal Supply building at Petco Park was awash with Torero Blue on May 30, 2017, when 500 USD alumni, parents and friends came to watch the Padres take on the Chicago Cubs and Torero standout and National League MVP Kris Bryant. 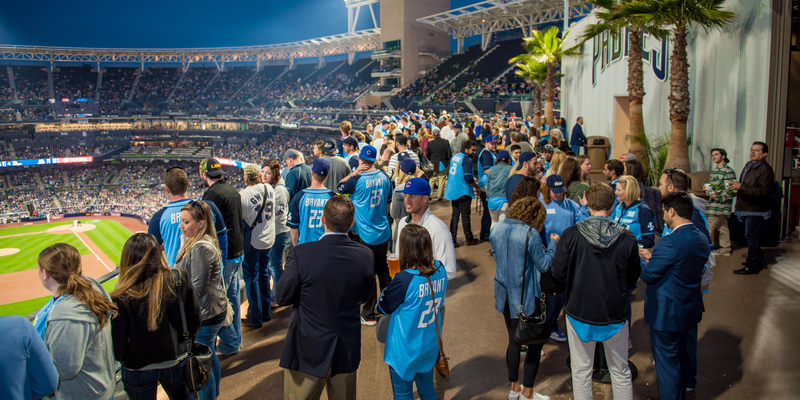 The Torero Bash offered a rare opportunity to take in panoramic views of the field, the San Diego skyline and, of course, the Padres, who won the game 6-2. Guests received exclusive replica Kris Bryant Torero jerseys and partied in style, with all-you-could-eat burgers and hot dogs, along with all-you-could-drink craft beer. They cheered, posed for photos with a life-size cutout of Kris Bryant and even enjoyed fireworks at eye level when Padres catcher Austin Hedges hit a two-run homer in the second inning. Guests also purchased the first of USD’s limited-edition Operation Hat Trick ball caps, the proceeds of which will be used to establish a scholarship for USD’s student veterans. Each person who purchased a hat was entered into a drawing for four tickets to the final game in the series the following afternoon. The field-level seats, behind third base, gave the winner and his guests the perfect vantage point to see third baseman Kris Bryant in action during what turned out to be the Padres’ first series sweep of the season and their first against the world champion Chicago Cubs since 2012. On that Tuesday night, whether they were Padres fans, Cubs fans or just Kris Bryant enthusiasts, everyone at the Torero Bash went home a winner.